One of the many advantages to using Rust Check services to rust proof your vehicle, is the impressive versatility it offers. The Rust Check method can be applied to almost any vehicle, regardless of its age. Most rust proofing products and services are either applicable to new vehicles or used vehicles, but usually not both. For example, if you are using a sealant to protect your car from rust, it can be an effective method if the vehicle is new. 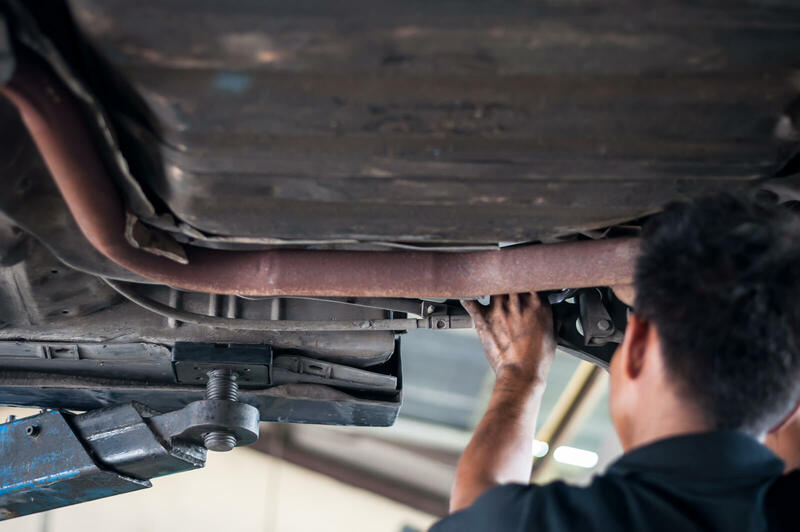 Using an undercarriage sealant on a used vehicle will trap any existing rust inside, and will actually accelerate the rusting process rather than fixing the problem. Rust Check solves this issue by penetrating deep into all of the crevasses and hard to reach areas in the body, undercarriage, and panels of your automobile. On the other hand, if it is a used vehicle you are looking to protect, Rust Check services are also an ideal pick. Expert technicians can do everything possible to contain the existing rust, and prepare the vehicle for rust treatment. Although Rust Check spray does not reverse existing damage done by rust, since that is not possible, it does an excellent job of minimizing the damage and halting its progression. When buying a new vehicle, most people neglect to think about rust protection because they assume it is included in the purchase of a new car. This is not always the case. Even if it is, the rust proofing that has been applied to your car may not be of the highest quality, or very effective for that matter. When considering rust protection, prevention is the smartest and safest measure. Think about it this way, to protect your skin from the harsh sun, you put on sunscreen before you go outside, right? You don’t try to prevent a sunburn after the fact. The same holds true for rust. Rust and corrosion is an irreversible process. Once rust has eaten away at the metal components of your car, there is no way to erase that damage. For ultimate rust protection, it is highly recommended to take care of it right from the start. This is a very important factor for all of us living in Canada. Canada is the home of extreme weather conditions. Your car is continually assaulted with snow, ice, salt, and sand during the winter. Salt creeps into all the exposed cracks of unprotected vehicle and waits there for the warmth of spring to activate. Plus, a lot of manufacturer guarantees do not include environmental damage caused by salt and acid rain. Rust Check warranties do cover these environmental factors. The frame and body of your vehicle need to remain strong and maintain their structural integrity in order to keep passengers safe. Rust and corrosion can compromise the cohesion and stability of the car’s structure, endangering passenger safety. Some materials used to make cars these days are lighter and less sturdy, in order to improve gas mileage and performance. For example, galvanizing a vehicle can help it last longer. Galvanizing is when a zinc coating is added to steel to make it stronger. The downside is that galvanized frames are more susceptible to rust and corrosion. Rut Check can help provide extra protection. Aluminum is also vulnerable to corrosion, and can be protected with Rust Check services. An excellent Rust Check service provider for drivers in the Brampton, Mississauga, and Toronto area is the IN N Out Car Wash and Detailing Centre in Brampton.